Yesterday we celebrated Father’s Day, and as I always do in preparation for my very favorite holiday of the entire year, I asked each of the kids what they like most about their dad. I figure compiling their words into a homemade card beats standing in line at Victoria’s Secret or Home Depot. Or Subway. Henry answered first. “I yike Daddy. Daddy yike cookies. I have a cookie?” No, Henry. No cookies until after lunch. 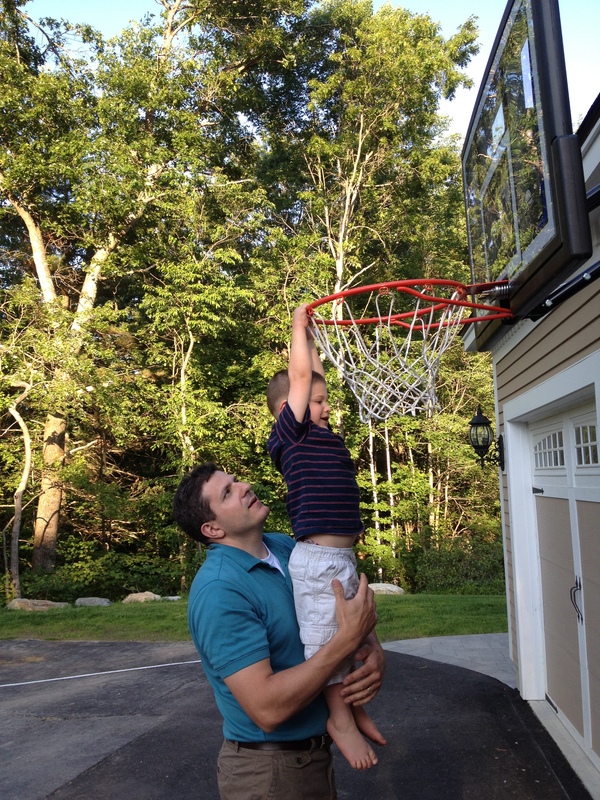 While his three-year old brother screeched for a cookie, Joey took his turn; “Dad’s pretty cool. I mean, he lets me play videos games a lot longer than you ever do.” Huh. Priorities of a nine-year old. In between bites of her curds and whey, four-year old Rose said dreamily, “Daddy? He’s handsome. And you know he’s going to marry me. I love him more than I love you.” The boys snickered. According to our kids, you are a cookie-eating, video-game playing polygamist. But deep down, we know you’re more than that. We know you’re the guy who carried diapers in his gym bag and who launches tickle-fests at bedtime. You’re the dad who makes BLTs and sausage when it’s your turn to make dinner, and you never skimp when you’re squirting whipped cream into a laughing mouth. Your face lights up whenever you hear Rose’s raspy voice. From family bike rides to making wine, you encourage our family to learn, to grow, to reach higher than we think possible. 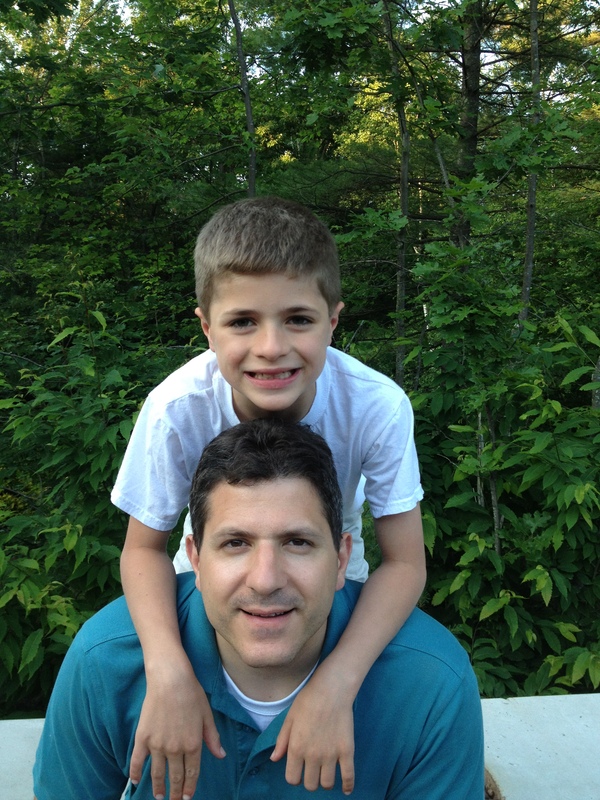 To help Joey master his multiplications tables, you painstakingly wrote out math charts and reviewed with him nightly. Amidst protests and whining, you take the boys to church on your own every Sunday morning to show them what faith really means. You lead by example. You make the best rice krispie treats and you give the best hugs. You’re the one who never saw the autism, just the little blue-eyed boy underneath the diagnosis. And you are tireless in your pursuit to understand that boy as best you can, even if he can’t whisper. We’d like to take a moment on Father’s Day to thank you for everything you do all year round. You make this Cariello clan who we are today. And really? We just like to be with you. I think I’m going to have you write out all my cards from now on! Much better than the stuff I write every year!